Last week, I was invited to join a group of extremely special people for an extremely special event. 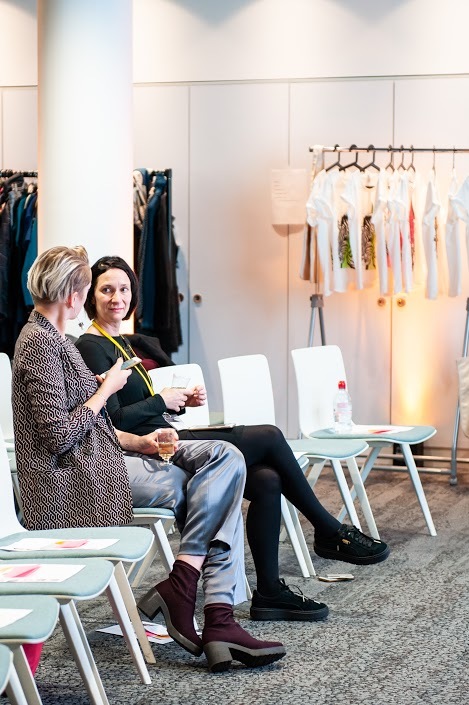 ALICAS, the for-profit-for-good company which gifts bespoke capsule wardrobes to survivors of domestic abuse so they can begin on the journey to restart their life away from their perpetrator, has launched a new campaign called #TAGSTO10K. This campaign aims to encourage retailers and individuals everywhere to donate a total of 10,000 high quality, tags-on clothing items, and the night celebrated this new initiative with talks, panel discussions, and an exclusive unboxing of the first ever ALICAS capsule wardrobe. Innumerable important messages were taken away from the night, like why we all need to be shopping less but shopping smarter, how we should be taking, the journeys of those in difficult domestic situations and how to support these women to regain their control and self-esteem. The overiding message in my mind, though, was the importance of fashion as a whole, and how I fundamentally believe that both as an industry and an art form, fashion needs to be taken more seriously in so many ways. Anyone who has watched The Devil Wears Prada, Ab Fab or Ugly Betty knows this to be true, and anyone working in the fashion industry knows how skewed those interpretations can be. But this is about more than just our pride in our careers, this is about the historic, social, economic and environmental significance of fashion. The piece goes on to explain why now is a time more important than ever to re-examine our relationship with clothes and with fashion as a whole- ultimately, our planet is in crisis mode, and its not only the clothing and textiles industry which needs to take the blame, it's us as consumers of clothing and textiles too. It also eloquently addresses the problem we currently face as an industry; we have always existed in an elitist, unrelateable bubble, and if we want the masses to change their ways, we need to open up; the converstaion flows both ways. This is precisely why, in a recent outing with the Fashion Revolution Scotland team to a local Green Party meeting, we were met with comments from one member that, well, ‘isn’t fashion just for rich skinny people in Paris?’. After that, we discussed the idea of referring to fashion in this context as simply ‘apparel’, or even as just ‘clothes’, in order to make the ethical fashion message more relateable for non ‘fashion people’ and therefore more likely to help shift mass consumer behaviour. Imran Ahmed, the Business of Fashion’s founder and CEO, argues that the only way the industry can thrive as Caroline Rush desires is if Theresa May ensures we will have access to the talent we need to keep London a thriving global centre of creativity, technology and business. Of course, fashion is also an unimaginable environmental and social force- now more than ever before in our era of overconsumption and greed for speed. The fashion industry is second only to oil in its contribution to pollution levels, and landfill waste is at irrevrsable heights, and its employees suffer arguably the worst labour conditions of any workforce, with full time, back-breaking work reducing garment workers- most of whom young women- to living well below the poverty lines. How can we even begin to address this? During the #TAGSTO10K event, I hosted a panel discussion with some industry experts, including Dr Sue Thomas, the leader of the Fashion Ethics masters degree at Heriot Watt University, Vivienne Low, the co-cordinator of Fashion Revolution Scotland, Brenna Jessie from Scottish Women’s Aid and wardrobe consultant and stylist Elaine Machray. 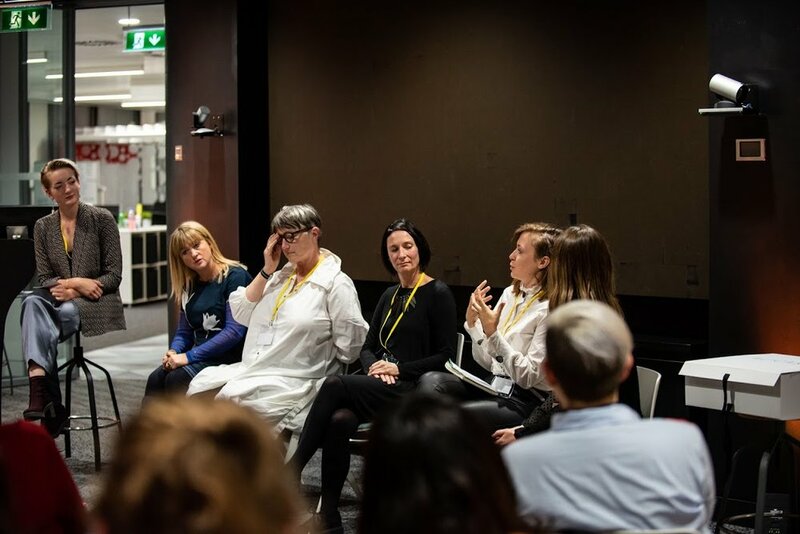 The questions I asked danced between issues surrounding sustainability and fashion’s impact on retaining women’s dignity, identity and confidence. For Rachael Bews, the founder and CEO of ALICAS, to solve the problems facing our industry at present, we need a multi-pronged approach. According to ALICAS, we can help reduce waste from fast fashion retailers going to landfill or being incinerated, plus help those in clothing crisis having fleed from unsafe and abusive homes, with one ingenious solution. Overall, the consensus was that fashion needs to be taken more seriously, for the sake of all of us. After all, there is no Planet B. Want to find out more about what ALICAS does and get involved in this fantastic project?